The language of the liturgy is the very language of the cross. More than just a communal meal, the Catholic Mass is a sacrifice. Indeed, it is a re-presentation (and not simply a representation) of the once for all sacrifice of Christ our High Priest (Heb 9:28). In all of her wisdom, Holy Mother Church gives us the very languages from calvary as the means by which we worship in the Holy Mass. 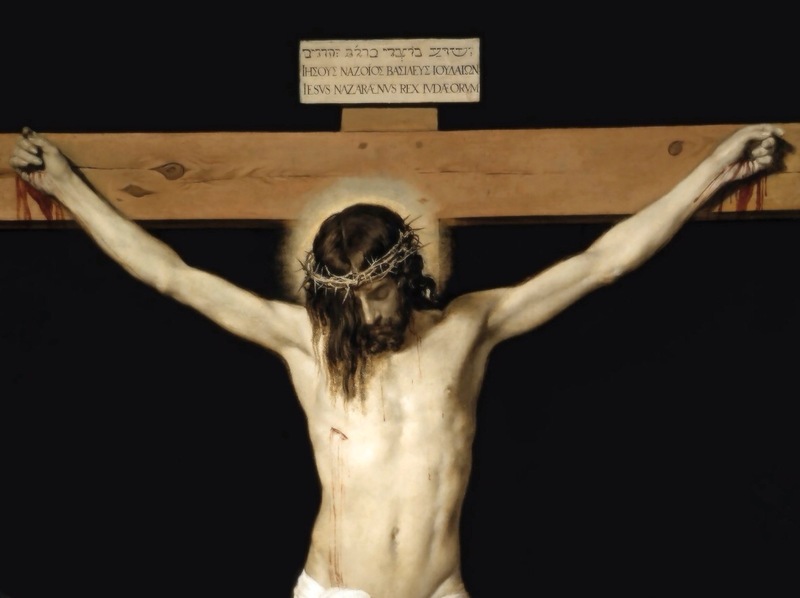 It was on the titulus crucis (the title of the cross) that Pontius Pilate had the above words inscribed. In fact, it is from the Latin inscription on the cross—“Iesus Nazarenus Rex Iudeorum” —that we get the abbreviation “I.N.R.I.” found on many Crucifixes today. What a sacred reminder we have been given by the Church through her use of language. As the Holy Mass transcends both time and space, the utilization of Greek, Hebrew and most especially Latin, assists us in recognizing our very participation in salvation history. Through the use of languages that are non-vernacular and immutable, we more fully realize that the ordinary has been left behind; it is something supernatural and extraordinary we have entered into. It is unfortunate that for many Roman Rite Catholics there is little to no liturgical language connecting them to calvary. While Hebrew remains, very often Greek and Latin are missing altogether from the Mass, replaced instead with the vernacular. However, with the papacy of Benedict XVI, and the ordinations of more and more tradition-friendly priests, it is a time of cautious optimism. In addition, the increasing availability of the traditional Latin Mass has introduced a whole new generation of Catholics to these liturgical languages. May the Sacrifice of the Cross be more fully realized by the faithful through these sacred languages.